SACRAMENTO, Calif. (CN) – California Gov. Jerry Brown complied with the Trump administration’s request for additional National Guard personnel but also took shots at Trump’s immigration policies on Wednesday. In a statement, Brown touted a bipartisan consensus to use the guard to stem the flow of drug traffickers, gang members and illegal firearms dealers. Brown’s announcement illuminates the sharp divide between federal and state priorities on border control. Critics of President Donald Trump’s immigration policy say there is a racial tinge if not outright hostility in his approach, pointing to campaign speeches referring to Mexican immigrants as murderers and rapists. But many Trump supporters say he is upholding the rule of law and hitting back at cross-border drug rings. Trump himself says “lawlessness” at the border hurts the country. Last Friday, U.S. Attorney General Jeff Sessions instructed attorneys to pursue maximum penalties for undocumented people crossing the border, citing statistics that convey a recent spike in unlawful crossings. Critics contend Sessions cherry-picked the statistics to mislead, saying cross-border migration is actually at an ebb. Nonetheless, Brown will deploy an additional 400 guardsmen statewide although it’s not clear if all will be headed south. 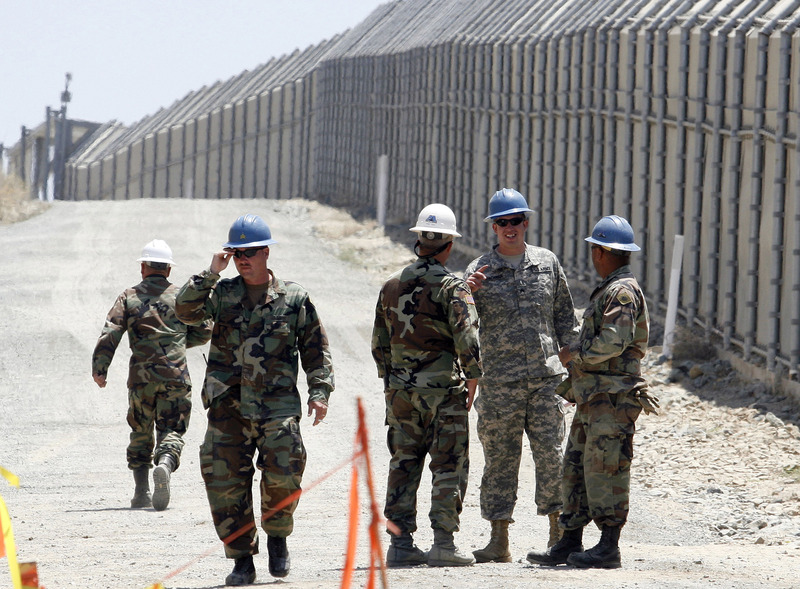 Currently, there are 225 National Guard members in circulation in California, 40 of which are stationed at the border. Following Trump’s request, the Republican governors of Texas, New Mexico and Arizona have sent a combined 1,600 guardsmen to the border this week.